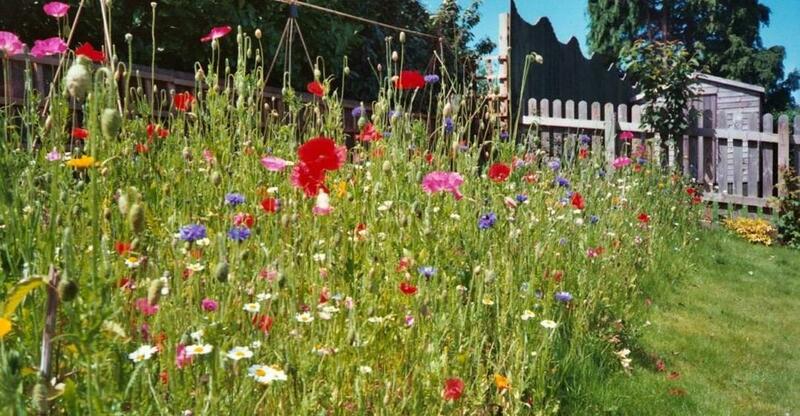 Most lawns will grow fairly well in the UK without needing the application of a lawn fertiliser. However, if you want to improve the general health and appearance of your lawn, using a fertiliser can be a good way to ensure your grass gets the nutrients it needs to stay healthy, green and lush. Proper use of lawn fertiliser can keep your lawn in good condition and will encourage strong, dense grass growth. Not only does lawn fertiliser improve the appearance of your lawn but it can also help your turf to recover from wear and tear and the effects of any harsh weather conditions. Keeping your turf well fertilised with a balanced nutrient programme can also stop your lawn from becoming weak, patchy and thin which can make the grass more susceptible to moss and weeds. Lawns in poor conditions are also more likely to be affected by diseases. What types of fertiliser should you use? There are many different types of fertiliser on offer. Most lawn fertilisers will contain nitrogen, potassium and phosphorus as base ingredients but can contain other trace element nutrients that can be beneficial for lawns. You need to be careful not to buy cheap fertilisers that contain too much nitrogen. Having too much nitrogen in a fertiliser will very quickly improve the quality of your lawn but will not hold up in the long term. Generally you can buy fertilisers in granular or liquid forms and options are available for different soil types (i.e. clay or sandy). Wiltshire based lawn care provider, Lawntech, recommends their own mix of granular fertiliser that includes a blend of nutrients including iron, magnesium and pure hydrated manure. A professional lawn care technician will be able to identify the right proportion of active ingredients needed for the time of year and type of lawn. When and how often should you fertilise a lawn? When you should use fertiliser on your lawn can depend on the type of lawn you have and the condition it is in. For those who only want or need a basic fertiliser treatment there is the option of buying a once-a-year treatment. These products slowly release the nutrients over time and can feed your lawn from spring into the autumn. For a more rounded option, most lawn professionals will recommend feeding your lawn on a regular basis four times a year – once in the early spring (usually around March- April depending on the weather) two more between may and July and another in the late autumn (September – Novemeber). Fertiliser mixes with different proportions of nutrients should be used at different times of the year – more nitrogen is required in the spring to encourage growth and a good green colour, while more potassium is needed in the autumn to improve the hardiness of the grass plants. Depending on the type fertiliser you use in the spring (if it lasts 3 months) when you feed your lawn in the summer you must take moisture and temperature levels into consideration. You can also buy winter fertilisers to improve the quality of your lawn during the colder months. Winter fertilisers will usually have a fairly low nitrogen content and may have special ingredients added that can help improve the digestion of organic matter. You can fertilise a lawn by hand, but it can be a difficult process as it is hard to tell whether you have put the right amount down. It is generally advisable to use a spreader – as most lawn care professionals do – because they can help you to spread your fertiliser evenly over the surface and give better results. There are several different types of spreader that you can use. Shoulder or handheld spreaders are good for gardens that are not a standard rectangle shape and are very easy to use. You can also use mechanical push-along spreaders. These spreaders are better for large gardens where you have a lot of fertiliser to spread. Rotary spreaders have a spinning mechanism that ‘throws’ or sprays the fertiliser while drop fertilisers have small holes in the underside out of which the feed ‘drops’ onto the grass. Liquid fertiliser can be sprayed directly onto the lawn surface and is good for demand feeding in areas that need more nutrients. Ideally you should feed your lawn as soon after mowing as possible as this will give the grass more time to absorb the nutrients before the next mow. If you mow your lawn after fertilising you may remove the fertiliser before it has a chance to sink in properly. You should not fertilise dry turf – there should be moisture in the soil for the grass plants to be able to take in the nutrients. If the weather has been particularly hot and dry, it is advisable to wait until there has been a good amount of rain before you start feeding your lawn. Many lawn care professionals may also advise that the fertiliser needs watering in after application to ensure the feed is absorbed properly. It is important that you spread the right amount of fertiliser. Too much fertiliser can burn or scorch your grass leaving it shrivelled or blackened. Fertiliser can also burn or scorch your grass if you feed your lawn when there is not enough moisture in the soil – i.e. in the dry summer months. You should be aware that quick release lawn feed products carry a higher risk of scorching than slow release products. Lawn care professionals, like the experts at Lawntech, can calculate the correct amount needed for your garden and will make sure that there is minimal scorch risk. 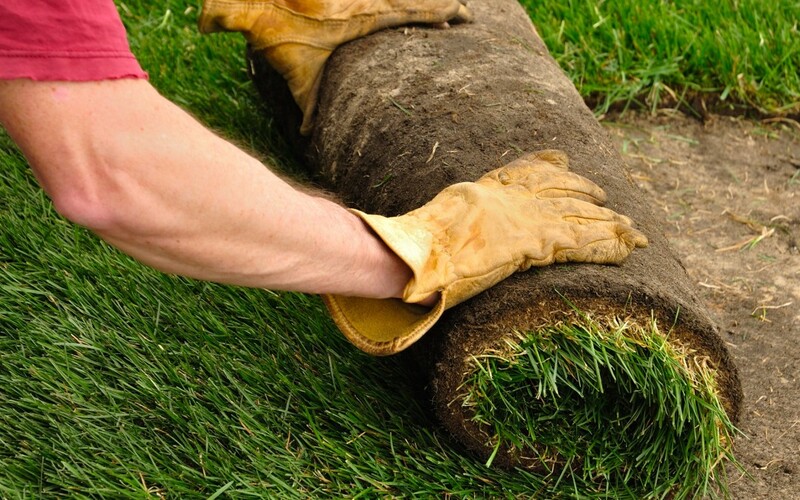 Professional lawn care specialists will be able to feed your grass correctly and uniformly so that your lawn is green, lush and healthy not patchy and weak. Many fertilisers work on a slow-release principle and continue to feed your lawn for weeks and months after application. Most lawn fertilisers are safe and you can use or walk on your lawn almost immediately after application. You should however check that the fertilisers used are safe for use around pets and animals. We would advise that you do not mow your lawn straight after an application as this can stop the feed from settling properly. Ideally you should wait for at least three days before mowing. Where and when should fertiliser NOT be used? You should not use fertiliser meant for use in the spring in the autumn or winter months – spring fertilisers encourage plant growth which is not needed in the winter months where the harsher temperatures and weather conditions can damage any new plants. Always make sure you are using the right sort of feed for the time of year. There is also no real need to apply fertiliser to frozen ground or very dry ground as it will not be absorbed properly. When applying fertiliser you should be careful to not allow fertiliser to enter water sources like rivers or lakes as this can be harmful.